This wrongful death claim was filed in Prince George's County after a woman died as a result of misdiagnosed acute coronary disease secondary to atherosclerosis. It was filed in Health Claims Arbitration on January 22, 2018, and it is the 36th medical malpractice case filed in Maryland this year. A woman presented to the MedStar Southern Maryland Hospital Center (MSMHC) emergency department with complaints of upper abdominal pain, nausea, shoulder and neck pain as well as a history of obesity. Her pain was so severe that she was having trouble catching her breath. Hospital staff performed a cardiac enzyme study and an EKG, both of which came back with abnormal results. The woman was discharged from the hospital with a diagnosis of gastritis (inflammation of the stomach lining) and was instructed to follow up with her primary care doctor. The next day, the woman returned to MSMHC in an ambulance. Her chief complaint was burning chest pain radiating to her left shoulder and upper arm. She also had symptoms of belching, nausea, and loss of appetite. Just before calling the ambulance she had experienced a syncopal episode, meaning she had fainted due to a sudden drop in heart rate and blood pressure. The gastritis medications were not helping. Despite her repeated requests to be admitted and her abnormal test results, she was discharged with the same diagnosis of gastritis. The day after her second discharge, the woman suffered a cardiac arrest and died. Autopsy results attributed her cause of death to severe atherosclerotic heart disease - a buildup of fats and cholesterol that clogs arteries and restricts blood flow. Atherosclerosis is a progressive disease that may start in childhood and become dangerous during adulthood. Its causes aren't fully known, but some scientists believe plaque begins to build up when an artery's inner lining is damaged from high blood pressure, high levels of cholesterol in the blood, or smoking. As plaque continues to build, artery walls get thicker and there is less room for blood to flow through. Various diseases can result from reduced blood flow, depending on where the plaque buildup occurred. A patient experiencing chest pain or coronary heart disease, such as the woman in this claim, would've had plaque in the arteries supplying the heart. During both visits to the emergency room, the woman was given a test to measure the levels of troponin in her blood. Troponin proteins are released when the heart muscle has sustained damage, so it is a very important test for detecting acute coronary syndrome. The greater the amount of troponin in the blood, the more severe the heart damage. The woman in this claim had troponin levels of 0.10 and 0.21 during her first and second emergency room visits, respectively. Both levels are abnormal and should have prompted additional testing, but the emergency room personnel may have negligently attributed the high troponin levels to her obesity. Elevated troponin is also an indicator of a few non-cardiac conditions, namely diabetes. Even so, the 0.11 troponin increase between her first and second visit should have indicated a worsening problem, necessitating a more thorough examination on her second trip to the emergency room. According to the claimant's expert witness, an emergency medicine doctor, the woman's physicians should have definitively ruled out acute coronary syndrome as the cause of her elevated troponin levels before releasing her from the hospital. After abnormal cardiac enzyme study results, the standard of care dictates that the patient should be treated with aspirin, given a consultation with an internist or cardiologist, and either admitted to the hospital or observed for an additional 6-12 hours before performing a repeat troponin level. MedStar Southern Maryland Hospital Center, Inc. Failing to observe the woman for additional time or admit her to the hospital on two occasions. Failing to obtain cardiac enzyme studies and the appropriate consultations. Wrongful Death: Emergency department staff missed diagnosing a woman's Atherosclerosis and she died as a result of their negligence. Survival Action: The woman is survived by her husband and child. View sample verdicts and settlements from Prince George's County. Learn more about hospital malpractice in Maryland. Read more about MedStar Southern Maryland Hospital Center. 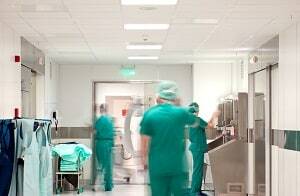 Take a look at additional emergency room medical malpractice lawsuits.